Beautiful home in great location on corner lot! Spacious master on main, open kitchen/family/dining, 10-ft ceilings, 2 bedrooms and bonus up in main house AND very private addl bonus/bath (or addl bedroom) over garage from within the house. 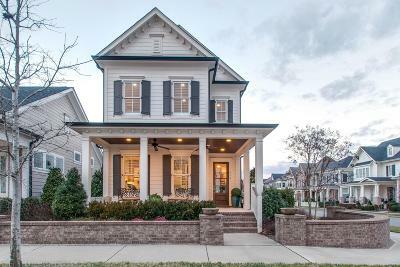 Hardwoods throughout, plantation shutters, covered front and back porches, wonderfully upgraded fenced paverstone courtyard with fountain, landscape lighting, irrigation, and more! Walk to towncenter, school, and Residents Club!